There isn’t an abundance of CHIMNEYS in tropical locations yet perseverance paid off. 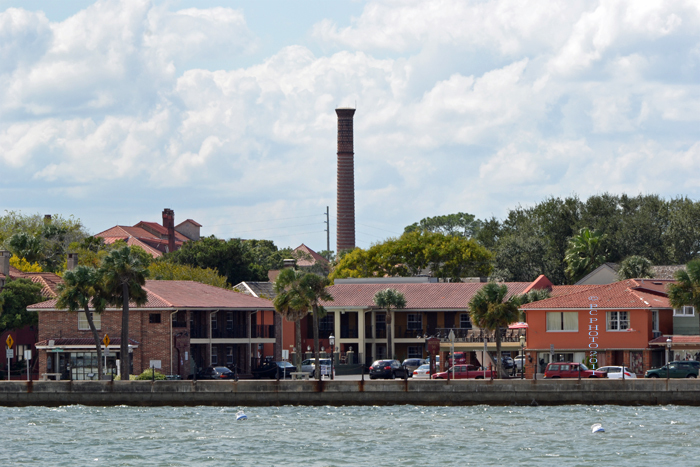 The chimney in the background is located at Flagler College. The college was originally the Ponce de León Hotel hotel built by millionaire developer and railroad tycoon Henry Flagler in the late 1800’s in St. Augustine.